Angel Haze kicks off her #30Gold web series and showcases her skills over Kanye West’s “Black Skinhead” instrumental first. Take a look as Haze drop some commentary for the camera and explains fans get a taste of what’s to come with #30Gold before the release of her debut album Dirty Gold. 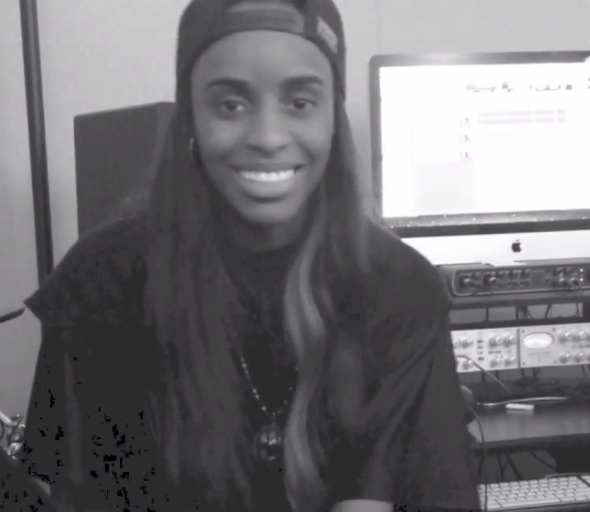 Over the next 30 days, Angel Haze will continue to release new freestyles and remixes for your listening enjoyment. This entry was posted in In The Studio, Video and tagged 30 gold, angel haze, black skinhead, freestyle, hip hop, Kanye west, rap, Remix, video. Bookmark the permalink.